Last August, we were fortunate to be among four American teams invited to participate in the first ever Chinese robotics scrimmage! Partnering with Dadalele, a Chinese educational business, and Chinese Urban Youth Robotics Alliance, this was a huge step in our efforts to bring FRC to China. 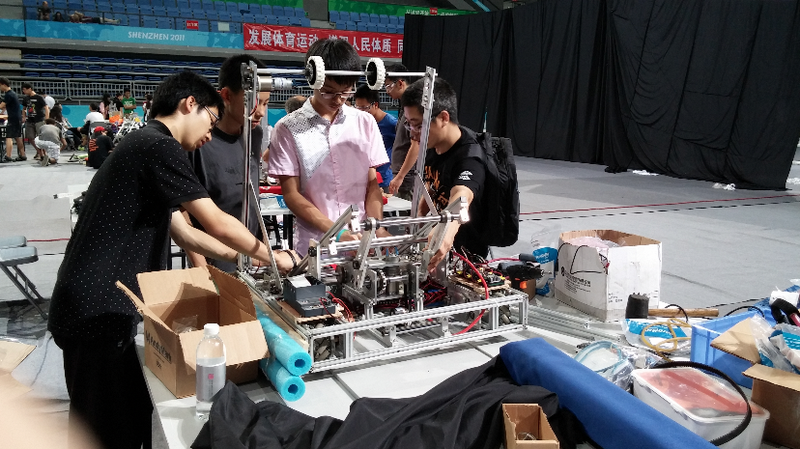 Some of our mentors and alumni arrived in Shenzhen on Thursday to start set-up for the event, and assist pre-rookie teams in finishing their robots. Late on Sunday night, the students and the remaining mentors and alumni arrived. The next morning we all took the bus to the arena for the start of the event. 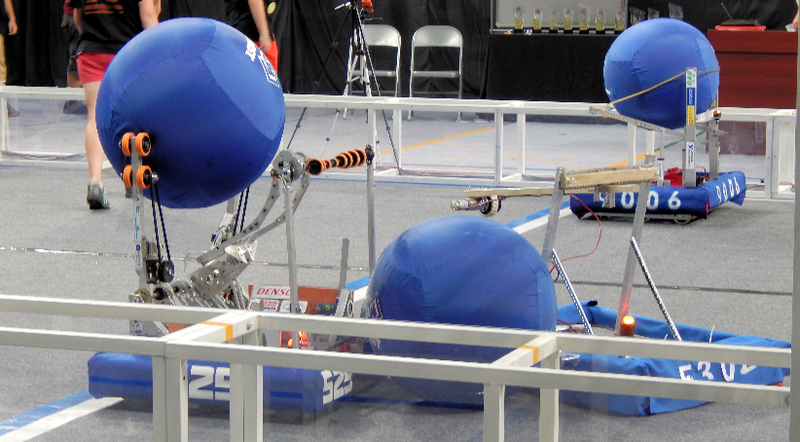 Like an FRC regional, the first day was dedicated to practice matches. 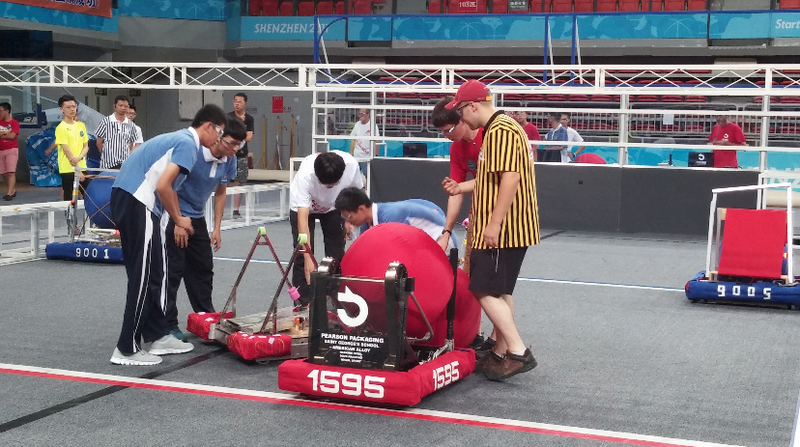 By the end of the day, all 15 Chinese teams got a chance to get on the field for a match, and our new drive teams got plenty of time to practice when they weren’t busy helping teams pass inspection. Qualification matches started on Tuesday. The day began with the national anthems, with the American anthem being sung by a mixed group of students from all four teams. As matches progressed, the new teams quickly became comfortable with the game and started executing more aggressive strategies (within the rules, of course). Going in to elimination matches, we suggested the American teams step out of alliance selections, and all other American teams graciously agreed. This allowed Chinese teams to step up as leaders of alliances, and have a more even playing field. The 5 alliances then played in a round-robin style to determine the winner. Awards for safety and other judged awards were also presented. Following the the scrimmage, American teams lead seminars about the RoboRio control system, team organization, and manipulator design. In the free time between sessions, students from several different teams enjoyed playing card games together. 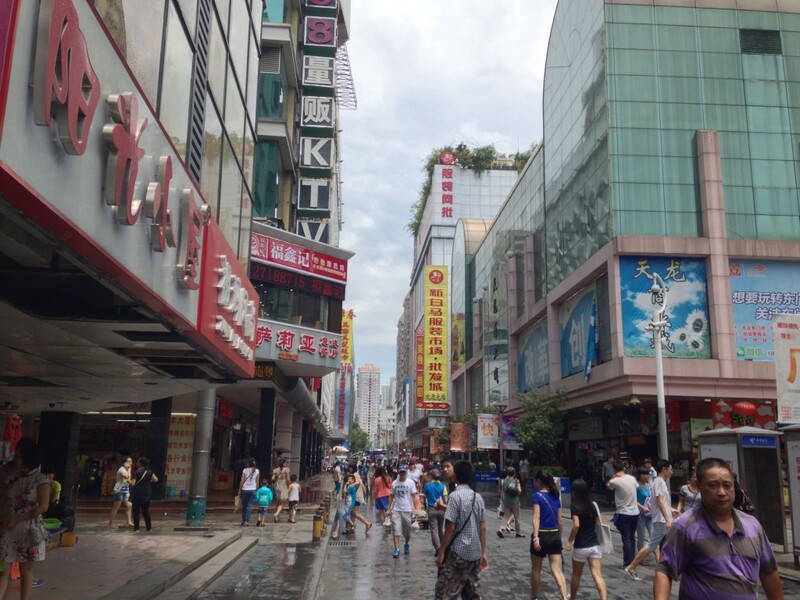 On our last day in Shenzhen, we got to do some sight seeing. We spent the morning in a shopping area. This shopping was very different from what we experience back home in Iowa, and it was an interesting experience! 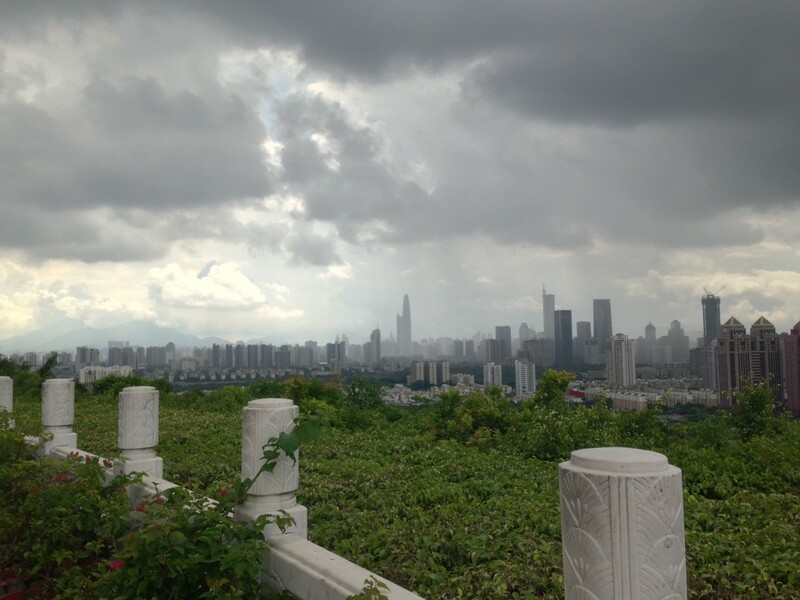 We hiked up a hill to see Shenzhen from above. The view was beautiful! 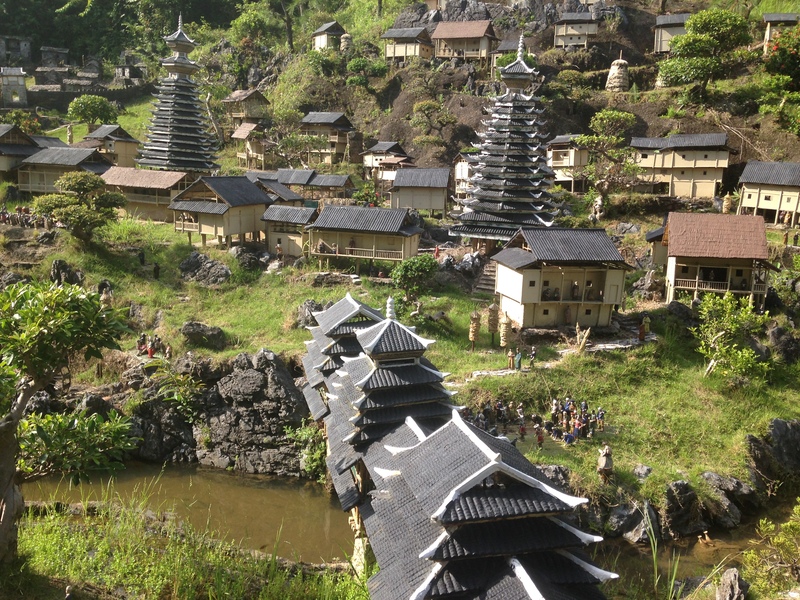 Finally we spent time in a park full of miniatures of sites from around China. Seeing the different styles of art and architecture from Chinese history was fascinating.